In the southern Jordan town of Shobak, farmer Hussain, known to his friends as Abu Falah, walks through an arid field. The dry soil beneath his feet is more akin to sand. For Jordanian farmers like Abu Falah, poverty is intergenerational, as seeds have always been scarce. Abu Falah’s land is narrow and stretches over the top of a rolling hill. In total he owns 50 dunams (five hectares) but it seldom rains or yields a harvest. Despite years of severe drought, farms like Hussain’s are managing to remain organic and irrigation-free due to the efforts of Al-Hima, a not-for-profit NGO focused on environmental sustainability. Through severe drought, Jordanian farmers are now able to keep their crops organic with heritage seeds and no artificial irrigation. “Al-Hima sponsors us. When it comes to harvesting, they support us,” he says. Al-Hima’s president Hazem Malhas says the organisation's unconventional approach to farming is “a challenge” because it’s not the easy path. “We are for clean, local, sustainable farming. This is what we are for,” he says. For Mr Malhas, quality trumps quantity. “Now if we are producing 20 percent of the grains of the typical farm that uses pesticides or wastes water, and irrigates, that’s fine,” he says. Sitting in Abu Falah’s backyard as chickens strut aimlessly, Al-Hima’s South Jordan regional director Adla Twaisy says remaining organic is a top-priority for farmers. In addition to the distribution of heirloom wheat, barley, chickpeas and lentils, Al-Hima also contracts farmers to purchase their crops at fair-trade prices. “At the end of the season when the crops come out they take it from us,” says Hussain. A 2012 study by the International Centre for Agricultural Research in Dry Areas (ICARDA) classified 90% of Jordan’s land as arid with less than 200 millimetres of rain annually. According to a UN report, between 1995 and 2004, Hussain’s village of Shobak endured the longest dry spell of any region in Jordan's recorded history. It means Jordanian farmers have experienced unprecedented challenges in cultivating crops. According to a report by the West-Asia North-Africa (WANA) Institute Overgrazing livestock and excessive use of water have led to the widespread desertification of rangelands. For farmers like Hussain, being sustainably organic is becoming increasingly difficult due to the nation’s dwindling water resources. Al-Hima’s empowerment of local communities shares similarities with Aboriginal land management systems in Australia. The Girrigun Aboriginal Cooperation (GAC) in Queensland represents nine different tribal groups and 650 adult traditional owners, with the objective of preserving Indigenous land and culture. In 2013 GAC launched the Girrigun Indigenous Protected Area project, ensuring traditional Indigenous management practices preserve over 1.2 million hectares of traditional owner lands. Mr Malhas says the same factors that stripped Australia’s first nation from its right to manage its land has similarly impacted local Jordanian communities. “Communities in general have been removed from the responsibility of protecting their environment,” he says. 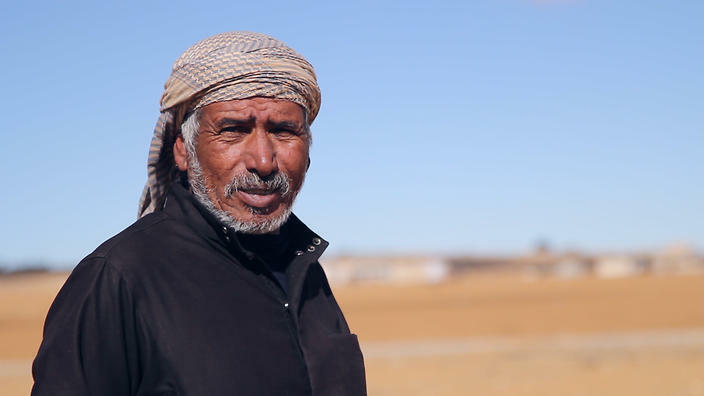 Despite long-term support from Al-Hima, farmers like Hussain still struggle on a daily basis to provide for their family, as delayed autumn rains leave him unable to plant seeds.